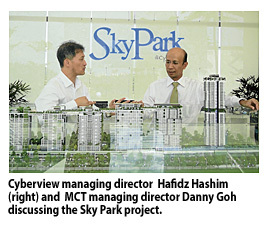 CYBERJAYA: Cyberview Sdn Bhd managing director Hafidz Hashim believes the RM1.5 billion Sky Park project in Cyberjaya will further enhance the progress and growth of the intelligent city. "Cyberjaya has the right scale and mass and most importantly the proven track record in helping companies to grow and prosper. That is ultimately what we believe matters to property developers when choosing Cyberjaya for their next project," he said. Cyberjaya has been identified as a pioneer green city by the government and its development aims to reflect that. "We are aspired to develop Cyberjaya as a green model city and are working closely with private developers to create a low carbon city. We believe this is an added incentive for home buyers and business operators who want to live and work in a clean environment," Hafidz told Business Times in an interview. Some 16 major developers are expected to invest up to RM20 billion in Cyberjaya over the next five years. They include SP Setia Bhd, Mah Sing Group Bhd, Nadayu Bhd, UEM Land Holdings Bhd, Glomac Bhd, OSK Property Bhd and MCT Consortium. The Sky Park project is being developed by MCT Consortium and consists of six towers of between 12 and 42 storeys. The project will have an office tower, strata office, a 390-room business hotel, serviced apartments, studio small-office-flexible-office (SOFO) and duplex SOFO. MCT managing director Danny Goh said the development has many unique features, one of which is the roof-top podium featuring sophisticated ambience with choices of stylish brands. Five of the blocks (excluding the serviced apartments) will be linked by a spacious, elongated sky park on the roof top, reflecting the fine hallmark of the Sky Park project. Goh said the SOFO units are also uniquely brilliant-built art of work and play, surrounded with elegant, contemporary designs. An artist’s impression of Four Seasons Hotel Kyoto. It is a rainy day in Kyoto, Japan, when executives from Berjaya Land Bhd (BLand) bring a group of Malaysian journalists to see for ourselves the site where the first luxury hotel in the city the Four Seasons Hotel Kyoto will be built. The rain does nothing to dampen our spirits as we stand on the 5-acre site in historical Higashiyama-ku, situated among beautiful and serene surroundings and the great heritage sites of Kyoto, a city which was once the imperial capital of Japan. Discussions for this project took more than two years and has finally borne fruit, Tan Sri Vincent Tan, the founder of Berjaya Corp Bhd, the parent company of BLand, tells us. “Armed with little more than a vision and a conviction to succeed, we approached the city of Kyoto to work together, not merely to build a hotel but to be given a chance to craft an experience like no other in the world,” he says later in a speech at a ceremony to mark the collaboration between BLand and Four Seasons. BLand's move into Kyoto marks its foray into Japan after two other projects in North Asia in Jeju, South Korea, and Beijing, China. The company purchased the 5-acre site from the Takeda family, a prominent family of doctors who owns several hospitals and elder care facilities across Kyoto. The site, which itself used to house a hospital, will cost BLand US$320mil or close to RM1bil to be developed into a luxury hotel with 186 rooms. The figure includes the acquisition price of the land. While the exact financing structure has yet to be determined, RHB Bank Bhd is the principal financier and the entire project is expected to be funded by a combination of equity, internal funds as well as bank borrowings. Return of investment is estimated to be between 5% and 10% and is expected to come “pretty fast”, given that Kyoto gets some 50 million visitors per year, making it the most visited city in Japan, according to Tan. Construction will start next March and the hotel will officially open its doors to guests in early 2015. “The hardest part of the project, which is securing approval from the city, is over. With financing in place, we do not foresee major challenges during the construction period,” BLand executive director Leong Wy Joon says. Kyoto is strict with its building guidelines, given that many sites in the city enjoy a Unesco World Heritage status. Hence the process to obtain the relevant permits took some time, says Leong. Understandably, Leong is excited about this project. Kyoto, according to him, has a huge pent-up demand for luxury accommodation. It currently only has two international brands the Hyatt and Westin. A Ritz-Carlton will be ready next year. “We are not worried about demand at all. Demand should come from both business and leisure travellers,” Leong says. As a luxury hotel positioned also as an “urban resort”, Four Season's room rates will start from 55,000 yen (RM2,200), compared with Kyoto's current average hotel rates of between 28,000 yen and 35,000 yen per night. The Four Seasons Hotel Kyoto will be BLand's signature and flagship development in Japan. For this reason, BLand is pulling out all the stops to build a hotel which Tan says “will be one of the most iconic in the world on completion”. The property itself will have an estimated built-up area of 8,106 sq m with four floors and three basement floors. It will be built with a combination of modern styles and traditional Japanese design. In other words, expect the hotel to be infused with traditional Japanese arts and crafts, says Leong. “Age-old traditions will go hand-in-hand with modern luxuries and it will have the understated elegance of a traditional ryokan,” he enthuses. He points out that among the special facilities, the hotel will have a specially dedicated hall for wedding ceremony. Other facilities include a banquet hall, main and fine dining areas, fitness gym, pool, spa and shops. An existing pond is expected to be one of the hotel's main attractions, once it is further beautified. In terms of location, the hotel will be quite ideally located, being less than 2km away from the Kyoto train station, which is the main entry point into Kyoto as well as being the main stop for all the bullet trains going into the city. “It's an excellent piece of land. We were quick in deciding that we wanted it ... and acted quick as well,” Leong says. 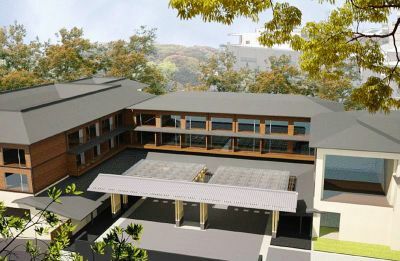 When it is completed, the Four Seasons Hotel Kyoto will be close to tourist sites such as the Myohoin, Sanjyu Sangendo and Kyoto National Museum as well as to various cultural locations such as Gion, the neighbourhood of the famed geishas. The planned rise in the Real Property Gains Tax (RPGT) to curb speculative activities on properties and avoid a property bubble could return investors to the stock market, say analysts. Under the 2013 Budget, the government has proposed a review of the RPGT. Effective January 1 2013, RPGT will be imposed on profits for the disposal of properties within two years of buying at 15 per cent, and 10 per cent for those sold in the third to fifth year. The idea of raising the RPGT is to discourage people from buying and selling houses for quick profit. RPGT is also another government's source of revenue. Properties held longer than five years are not subject to RPGT. Also, disposals of properties between husband and wife, parents and children, grandparents and grandchildren are exempted from RPGT. "I don't think the move to increase RPGT rate would dampen the market. In absolute terms, it is not large enough to discourage people from speculating in properties," said OSK Investment equity capital market head Gan Kim Khoon. "However, we believe property investors will put off buying houses for a while and invest in the stock market as the property market has softened," Gan told Business Times. Mah Sing Group Bhd group managing director Tan Sri Leong Hoy Kum said the rise in RPGT rate was within expectation and it will have less physical impact on developers as the construction period for new projects usually takes two to three years. Leong also lauded the government's efforts in increasing housing affordability and reducing the cost of property ownership. "There is strong demand for serviced apartments from 500 square feet and landed properties below RM1 million. The 50 per cent stamp duty exemption for first-time purchase of homes under RM400,000 will help to reduce the cost of purchasing a house by up to RM3,500," he said. Master Builders Association Malaysia (MBAM) is, however, disappointed with the increase in RPGT rate for properties sold within a period of two years and after three years. "We feel that the financial measures imposed by Bank Negara Malaysia to curb property market speculation is sufficient as it is," said MBAM president Matthew Tee in a statement. KUALA LUMPUR: The government is offering a 10-year income tax exemption to encourage major international financial institutions make Kuala Lumpur their preferred investment centre. Prime Minister Datuk Seri Najib Razak said perks for global firms setting up business in the financial hub Tun Razak Exchange (TRX) include income tax exemption for 10 years, stamp duty exemption, industrial building allowance and accelerated capital allowance for TRX Marquee-status companies, and tax exemption for property developers. The development of TRX, which is expected to attract 250 international financial institutions, is on schedule with the realignment of existing utilities on the TRX site well underway and is expected to be completed next month, Najib said. Analysts, however, said more can be done to boost the RM26 billion project. Interpac Securities head of research Pong Teng Siew said this is part of the government's efforts to develop TRX as a global hub for Islamic banking. "The idea is that if you can attract the big companies into TRX, the talents will follow suit." However, an analyst said more measures can be introduced to make the project more sustainable. "At the end of the day, the key for such a project to be a success and sustainable is the people, the talents, the brains. More measures can be introduced to encourage these people to work here, relocate their family and live here, he added. "The key is questioning why some foreigners prefer to work in other countries, such as Hong Kong or Singapore, and what can we do to attract them to come here," said another analyst. INVESTMENTS from Malaysia's private and government-linked organisations into prime Central London since 2009 have exceeded £3.5bil, according to syariah-compliant Gatehouse Bank plc. This is consistent with the £3bil figure brought up by a few property consultants based in London the past two weeks. “We expect overall purchases to increase (from Malaysia). The EPF (Employees Provident Fund) is looking for diversification and that is a successful strategy. “The next question is: Do you want to keep it in British pounds or do you want to bring it back?” Gatehouse Bank chief executive officer Richard Thomas says during a trip to Kuala Lumpur for the Global Islamic Finance Forum last week. The latest completed purchase is by Lembaga Tabung Haji, which bought 10, Queen Street Place for £165mil from Jaguar Capital. The property has an annual yield of 5%. The deal was completed in the middle of September via Gatehouse Bank and Savills. The 221,200-sq-ft block is tenanted to international law firm S.J. Berwin. The lease expires in December 2025. 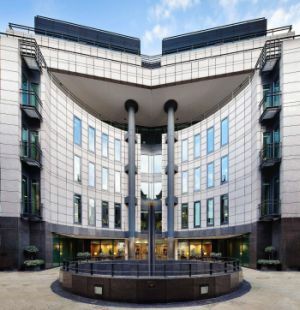 The other two deals which are pending are 5 Aldermanbury Square and 10 Gresham Street, both in London, worth £425mil, which are being considered by Kumpulan Wang Persaraan (KWAP). KWAP has set up a wholly-owned subsidiary office, Prima Ekuiti (UK) Ltd, in Mayfair as part of its strategy to diversify its equity portfolio abroad, with Britain among its key target markets, KWAP chief executive officer Datuk Azian Mohd Noh tells Bernama. 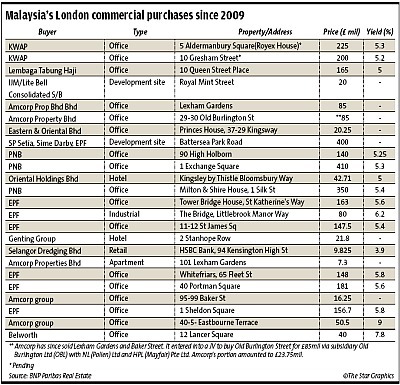 The Malaysian private investment firm was set up with RM985.2mil (about £200mil) geared for equity investment there. Since the financial crisis erupted in 2008, both private and institutional investors from around the world have been flocking into London to buy prime Central London assets. EPF, Lembaga Tabung Haji and Permodalan Nasional Bhd (PNB) have been the largest investors in that city from Malaysia to-date. EPF has invested up to £1bil in seven properties since 2010 although what is listed (see table) today is only six. An EPF spokesperson declined to give details of its seventh purchase. Separately, EPF chief executive officer Tan Sri Azlan Zainol says the fund may invest a further £400mil to £500mil in the next two years, thus expanding the kitty for the British property market. Gatehouse Bank says in a July report that in the first quarter of this year alone, about £1bil from sovereign wealth and overseas pension funds from around the world have bought into that market. Coming a far behind is opportunity and private equity funds, which have invested up to £200mil in the first quarter. PROPERTY JEWEL: The Whitefriars at 65, Fleet Street, London, which costs EPF £148mil, has a yield of 5.8%. At the same time, the greatest sellers have been pension, life and insurance funds as well as open and closed-ended funds, the report says. As the eurozone is expected to face greater challenges in the next 18 months, there is a possibility that more funds will be entering London. Slade says if the eurozone is to stabilise, far eastern Asian funds may go into Europe, as some already has, such as from South Korea. “You will get better yields (there) but that is because it is very risky,” he says. 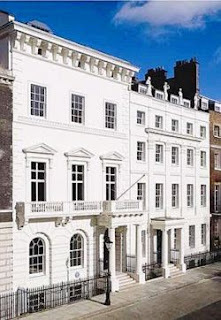 PROPERTY JEWEL: St James Square, which was acquired by EPF for £147.5mil, offers 5.4% yield. 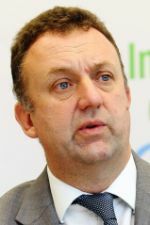 The strategy may be similar to its Goodman Group purchase in Australia where it has teamed up with Australian integrated property company Goodman Group to seek logistics asset investment opportunities. The initial investment in that venture totals about A$400mil (RM1.25bil) and comprises six stablised logistics assets. “If it were to go into a multi-asset purchase, this type of asset portfolio may call for greater management,” Thomas says. EPF's current portfolio of assets, which comprises office buildings, have yields of 5% to 5.8%. Its first industrial purchase outside Central London is a Sainsbury's distribution centre in Dartford, Kent, which it acquired for £80mil from a fund managed by Tristan Capital Partners and AEW Europe. The property offers an annual yield of 6%. London is competing with other European cities to attract money, with one of the closest competitor being Paris. 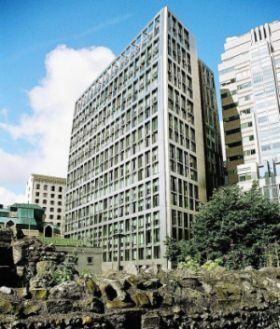 PROPERTY JEWEL: Aldermanbury Square, which is pending acquisition by KWAP for £225mil, has a yield of 5.3%. Thomas says it is only in London that one is able to have long leases of between 10 and 25 years. French leases are generally short between three and nine years while Germany has a complicated tax structure. Gatehouse Bank's primary focus in Britain is outside prime Central London, it is active in Leeds, Manchester, Aberdeen and Glassgow because of its emphasis on the syariah-compliant factor. Thomas says the bank has knowledge of London market. “Prices are lower in the other cities and the quality of rental is equally good. A depressed location does not mean bad property,” he says, adding that it has bought into a 17-year lease at nearly 7% yield. Had it been in London, the property would have generated a 4% yield. He says central London offers long-term secured value for the pension fund. “It does not matter if you get a 4% to 5% yield if you have a prime location. The character of the transation is extremely important. “If you are careful, you buy into a low-rent asset and hope that when the property upturn comes around, you get to increase the rent and the value of the asset increases with it. That is the objective of long-term investors in London today,” Thomas says. 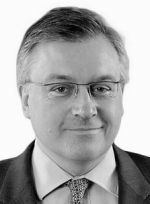 Jones Lang LaSalle director (city investment) Andrew Hawkins says in an e-mail that over the last three years, Asian funds have dramatically increased its spending in London offices. He says that across Central London, the proportion of offices sold to Asian buyers has increased from 6% in 2010 to 16% in 2011 and 17% in the first quarter 2012. Says Hawkins: “In the city, this is far more pronounced. Respective proportions have increased from 4% to 24% to 31% on an annualised basis and within this pool of investment capital, Malaysian money has been particularly active. 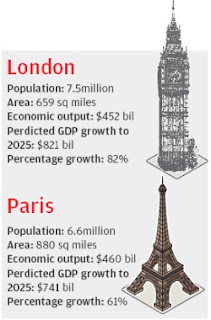 “The EPF alone has purchased just under £800mil of London office stock, from Paddington through to the City. More recently, PNB has acquired £865mil in just three assets, two of which were traded in the opening months of 2012. “Looking forward, we can expect far more activity in the UK commercial and residential markets from Asian capital including Malaysia. Asian capital is focused more on the City as lot sizes are more palatable and the availability of stock, level of income yield and income is more appropriate,” he says. Differentiating the Asian investors, Hawkins says South Korean and Malaysian institutional investors tend to be more income-driven while those from Japan, Singapore and Hong Kong tend to be more willing to embrace activity management (as oppposed to buying just a building for its yield). In a July report, BNP Paribas Real Estate says that since the start of the year, 85% of investment into the City came from overseas investors. The report also says that 71% of investment into the overall Central London market came from overseas investors, with North America, Middle East and Germany proving to be the most active regions. In addition, 61% of investments into the West End market has come from overseas the top investors are from North America, Germany and other European locations. BNP Paribas Real Estate senior director for international investment Andrew Cruickshank says that this year alone, more than £6bil has been invested into Central London offices. He says pension and sovereign funds generally buy into commercial real estate with long leases as these leases cannot be broken. As rents generally only rise, yields will further benefit. On cities on mainland Europe like Paris and Berlin, which have generated much interest, he says European cities generally do not offer the long leases which generally characterise the London market. Cruickshank says that over the next 18 months, the eurozone will remain too risky to invest in. “Some Malaysian investors have already shelved European aspirations. Some opportunity funds have been eyeing the Italian and Spanish markets but it is probably nine to 12 months too early.